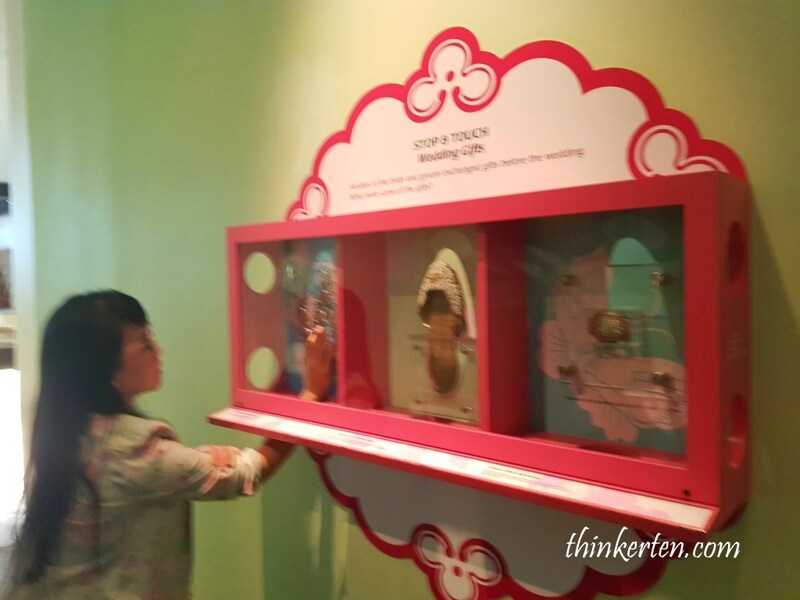 I have been always interested to find out more about Peranakan culture and their community. 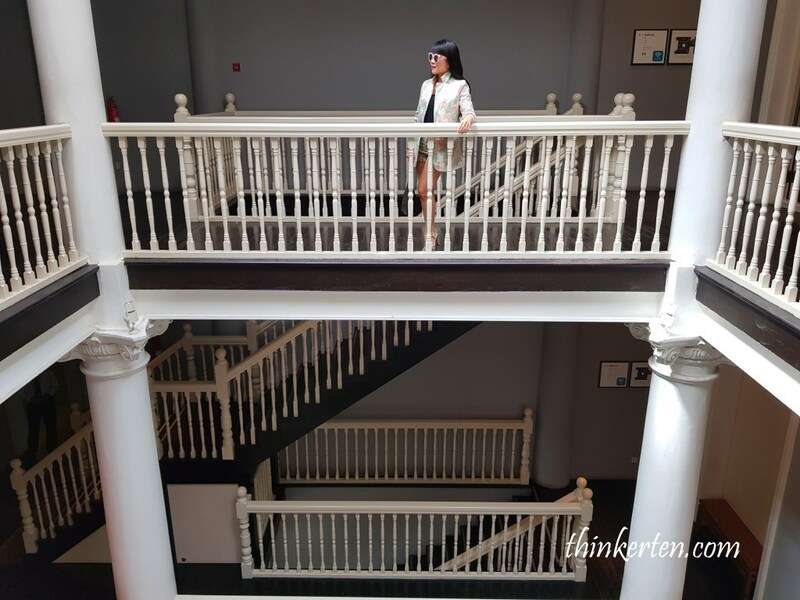 I have been to the Peranakan Mansion in Penang few years back, that mansion is truly awesome, it is more like a rich Peranakan mansion rather than a museum. You get to touch a lot of the artifacts and sit at the most beautiful wood furniture in the world. That’s why it was so real and so fun. 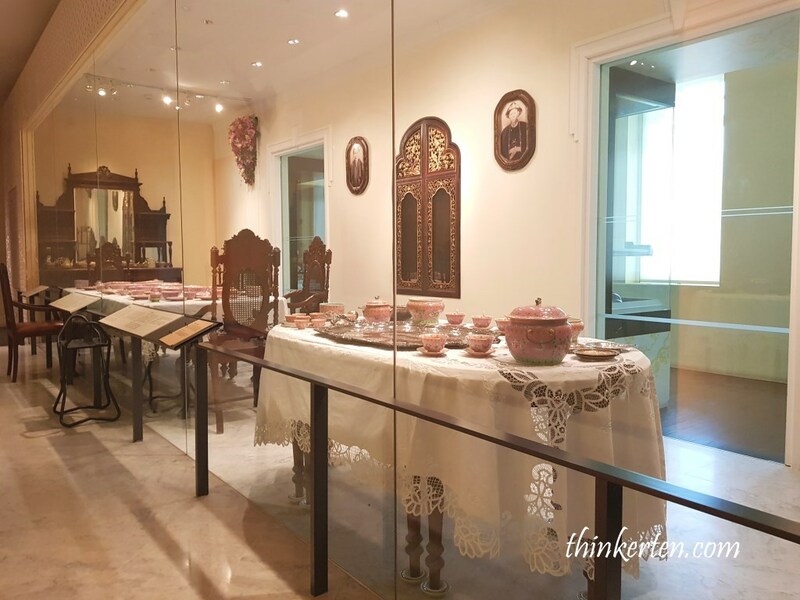 You get to pretend as if you were eating at the expensive Peranakan dinning table with their exquisite tableware and silver or gold cutlery. 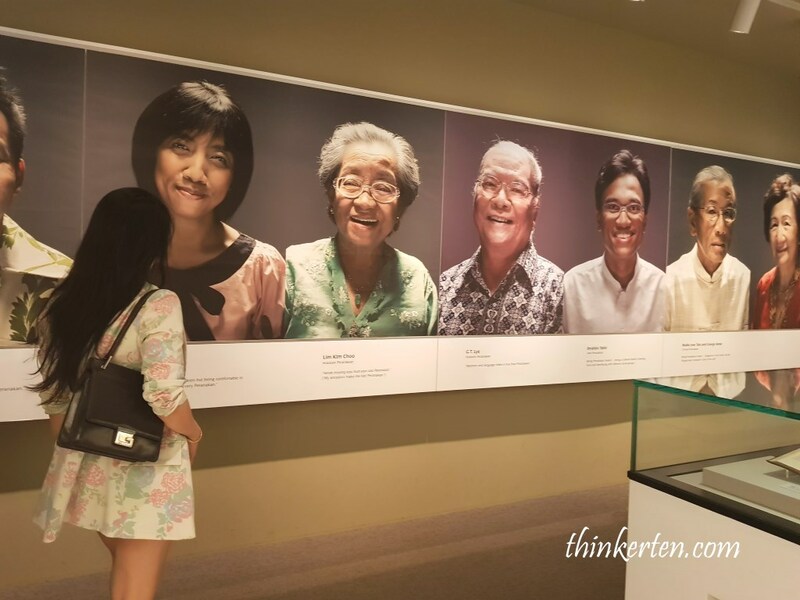 Over here in Singapore Peranakan Museum, you don’t get to do that. The setting are more serious, just like a “museum”. 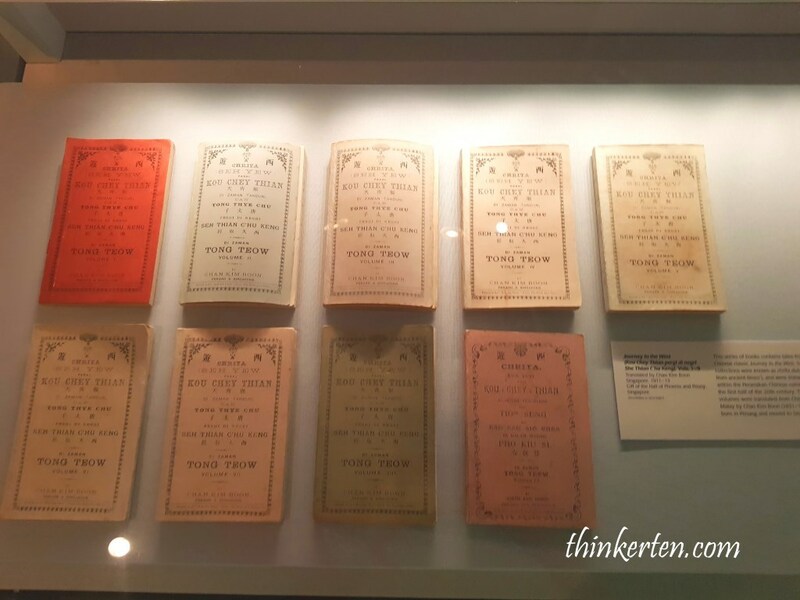 There are 9 Galleries altogether in the Museum to showcase each events and lifestyle of Peranakan people. 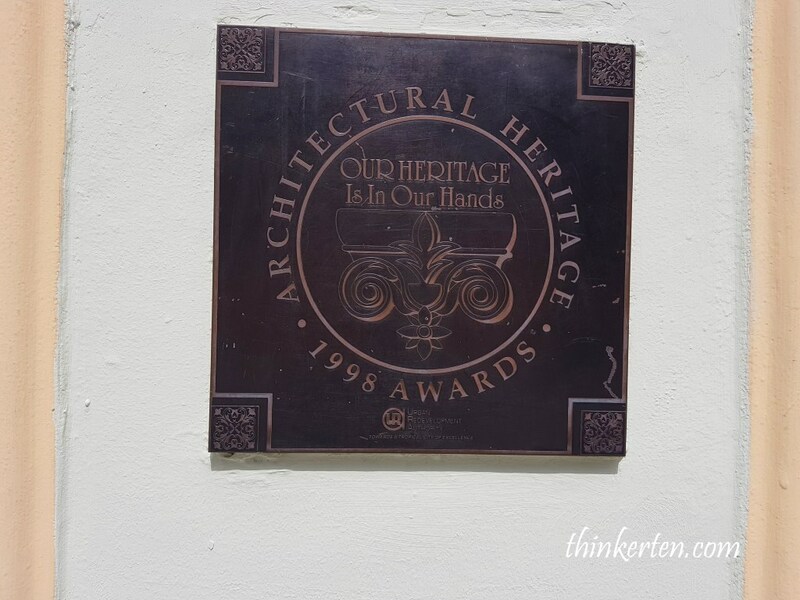 The beautiful architectural heritage is actually a former Tao Nan School which was built in 1912. You can see “1910” written at the top of the building. The architecture combines Western elements such as columns, capitals and arches, with open spaces and balconies reflective of its tropical settings. 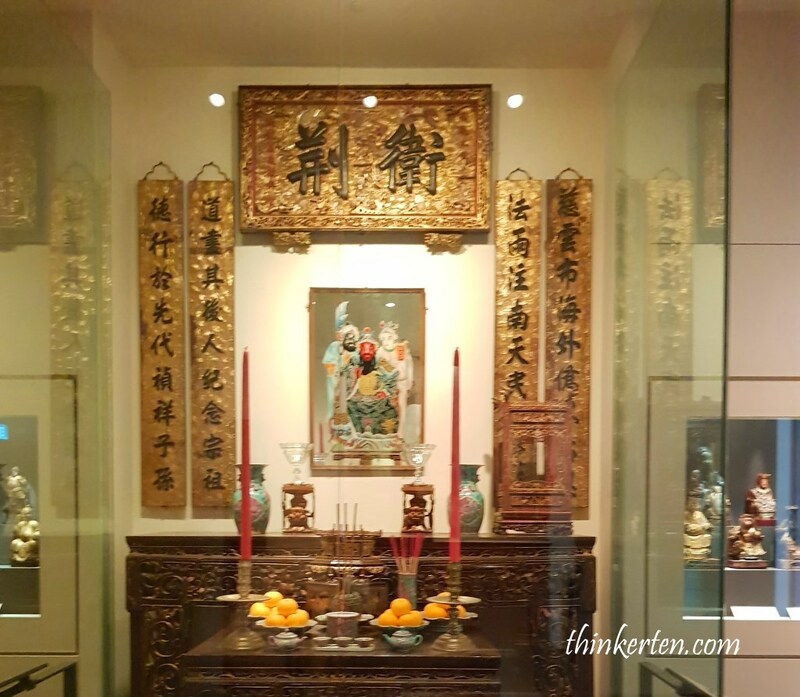 The Peranakan heritage is tale of adaptation. 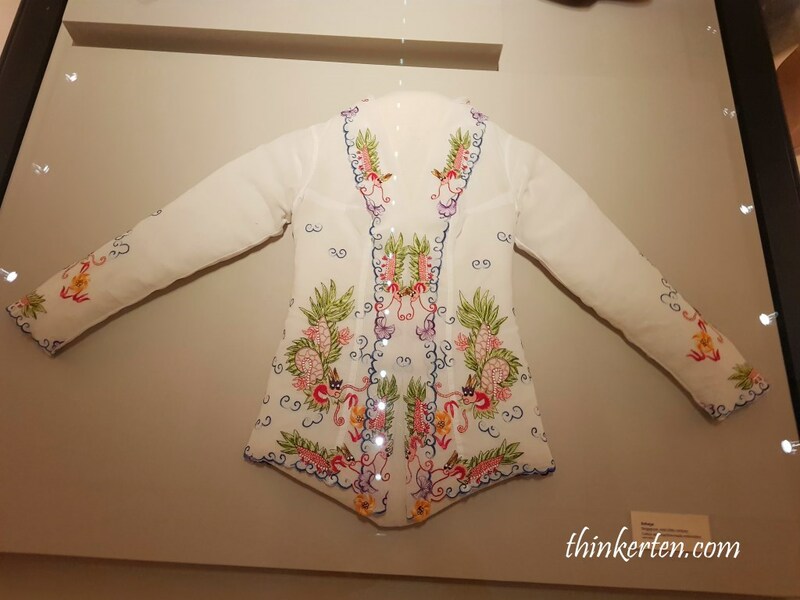 The term ‘peranakan’ in Malay means ‘locally born’ and refers to the descendants of foreign traders who married local women in Southeast Asia centuries ago. Female descendants are being called as “Nyonyas” and Male descendants are called “Babas”. 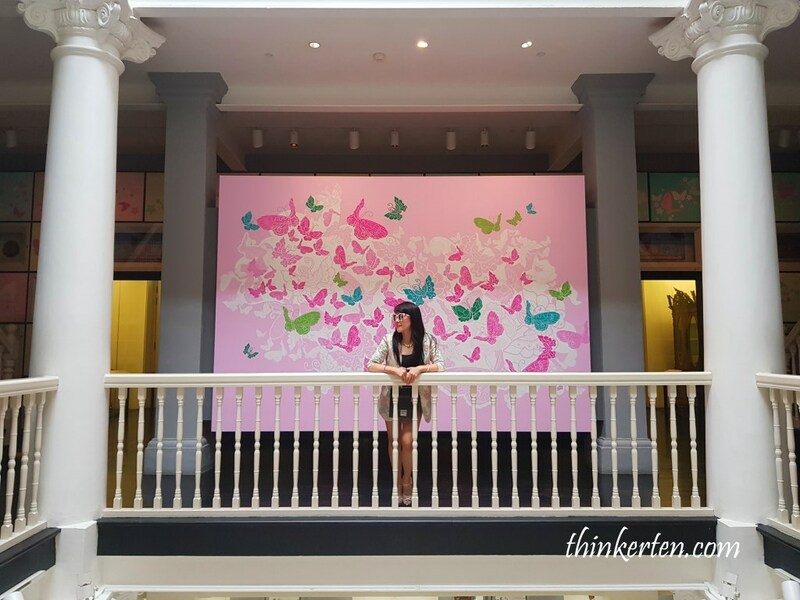 You will see few big walls with Peranakan Batik Design located first and second floor in the museum. These walls made beautiful backdrops for picture taking. The batik design showcasing their intricate artwork, stunning color and pattern. 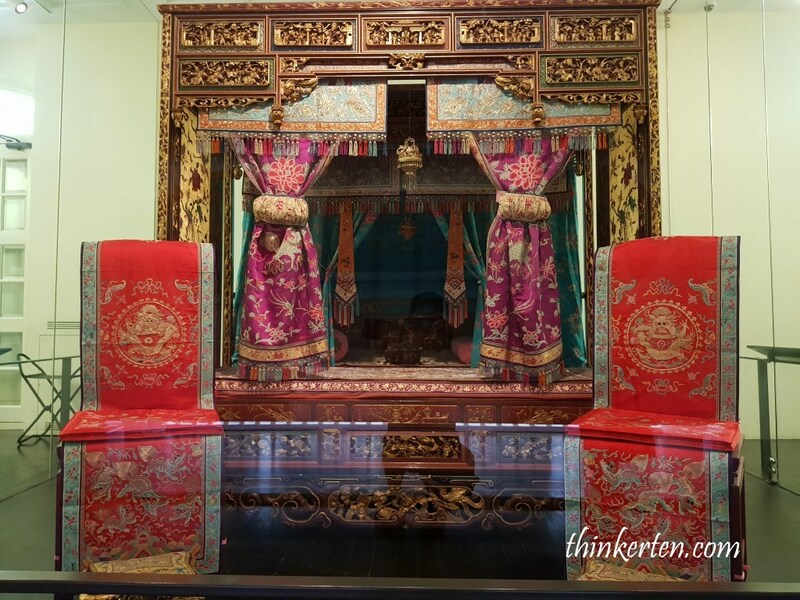 The Wedding Galleries show different stages of the wedding rites as well as items used in the full twelve-day peranakan wedding. Of course, less well-off families would make do with a simpler celebration. 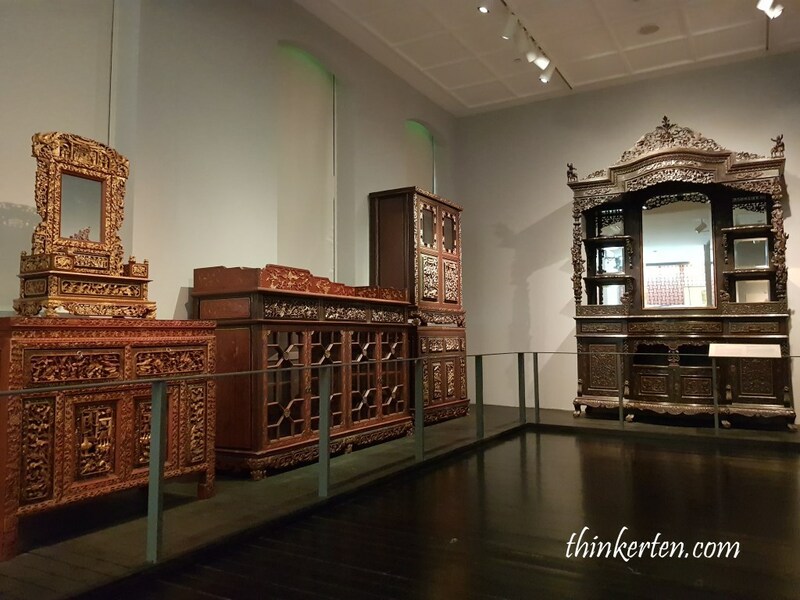 This display here presents furniture that could have been found in wealthy Peranakan household in the straits Settlements from the late 19th through the mid-20th century. The pieces would have been either ordered from China or made locally, but the style were inspired by European furniture from different periods, with some dating back to the 18th century. 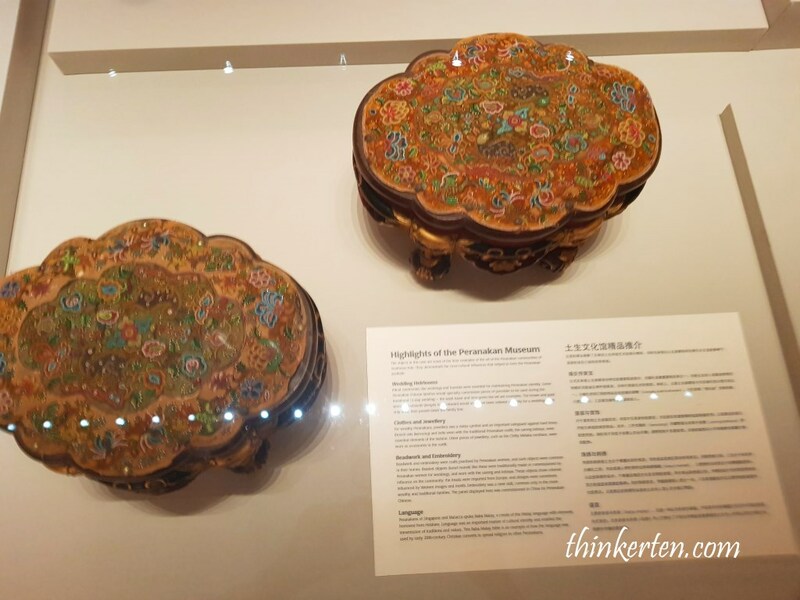 Silver has been always a status symbol in the Peranakan Chinese culture and only the wealthier Peranakan families can afford to use them. 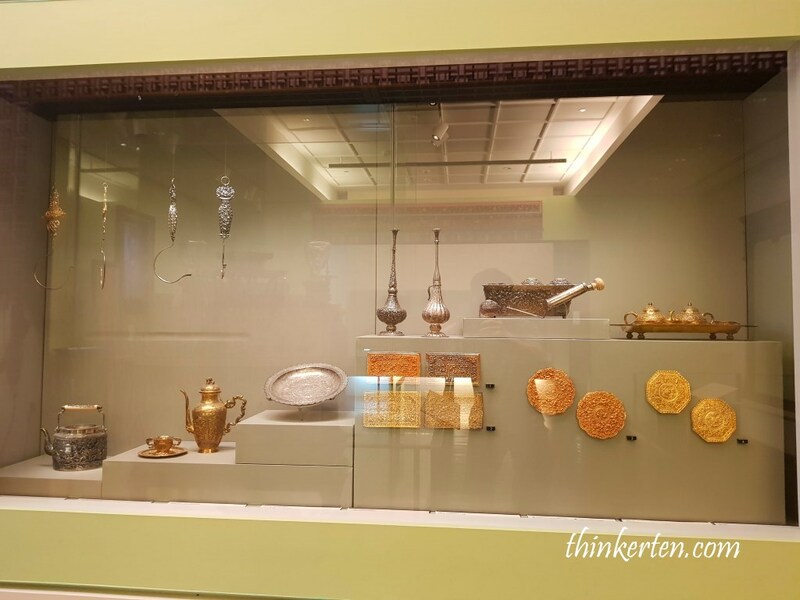 The pieces featured here are objects that were used during special occasions such as wedding. They include pillow and bolster ends, curtain hooks, tempat sireh (sireh box), wine ewers, tea kettles and rose water sprinklers. Sam Kai mean ‘three world’ and refers to Heaven, Earth and Moon, dedicated to Ting Kong (God of Heaven, Earth and Moon). What caught my attention was a large round bamboo tray placed on the floor between the sam kai and the family altars, some preparation for a wedding. Sorry, I did not manage to take the picture of the Sam Kai Altar, look similar to Chinese Buddha Altar. It is actually located at the far right hand side of this picture. 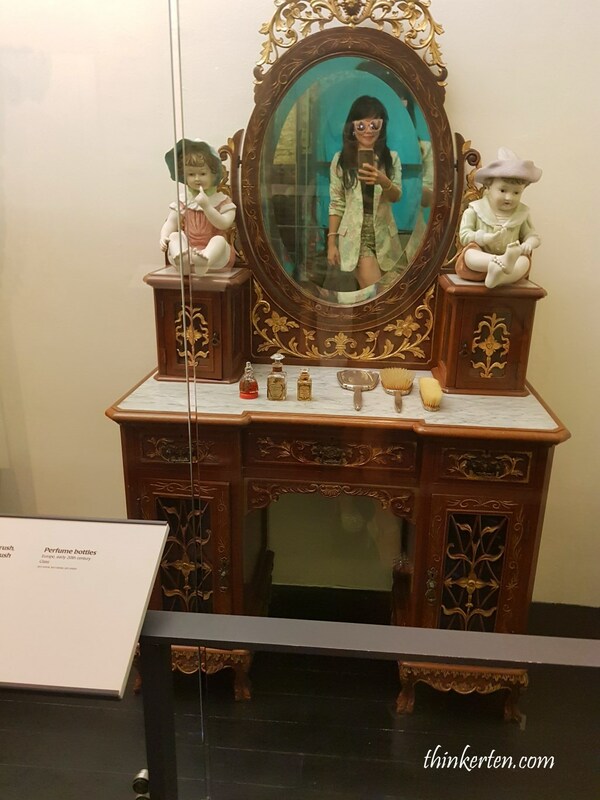 This antique came from a mid 19th century bungalow that was the oldest house in Singapore when it was torn down in 1982. The panel features dragons, phoenix and Chinese coins. 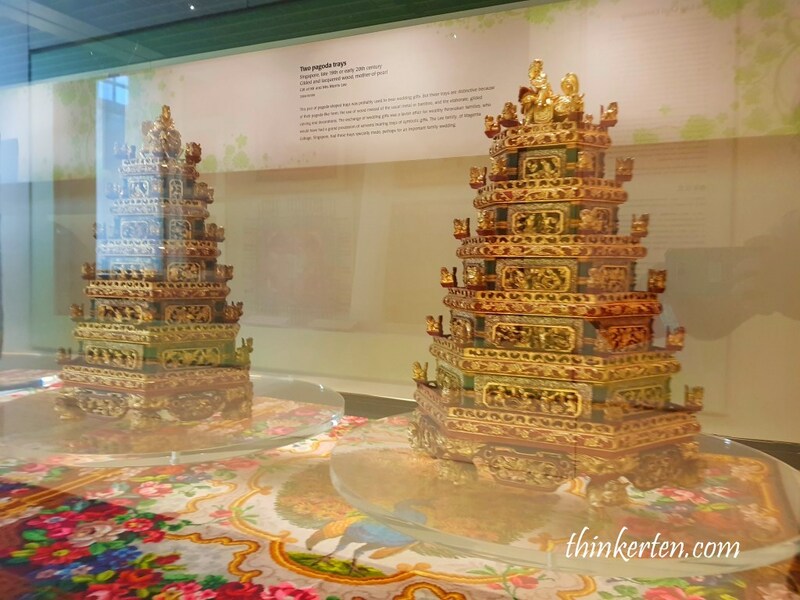 The shape of these pagoda trays is very unique, you don’t get to see them often. The trays is used in a grand procession of servants bearing symbolic gifts to be exchanged in the wedding. You get to experience to touch these artifacts and feel them. 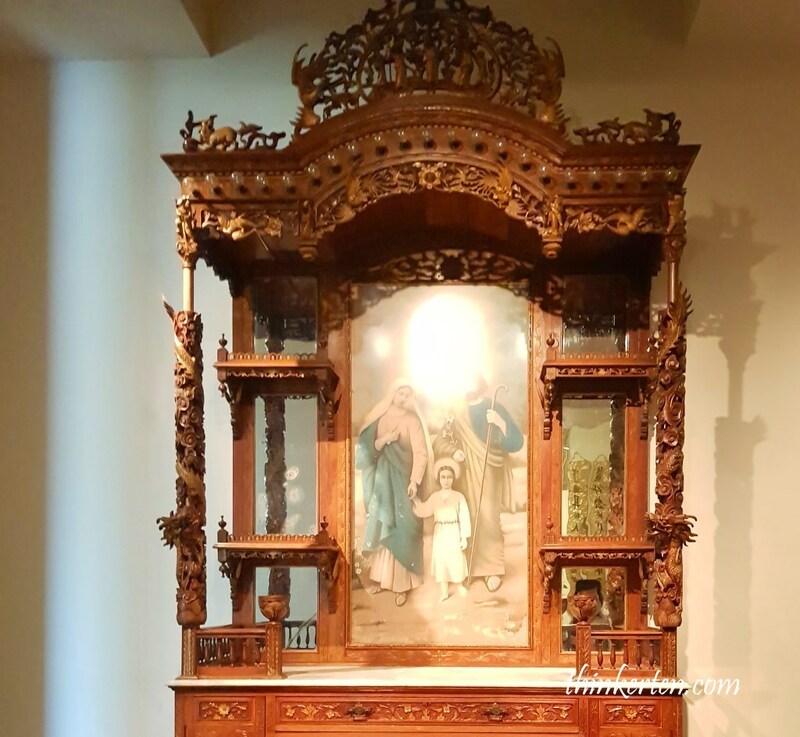 This is an unusual piece of altar because it was being converted from traditional Taoist deity and ancestor worship to Roman Catholicism. So what we know is the owner is a Buddhist at first then convert to be a Catholic later. If you look closely, you can spot typical Taoist motifs such as dragons, qilin, phoenixes and the Three Star Gods of good fortune, prosperity, and longivity (Hock, Lock, Siew) on the crown of the altar. 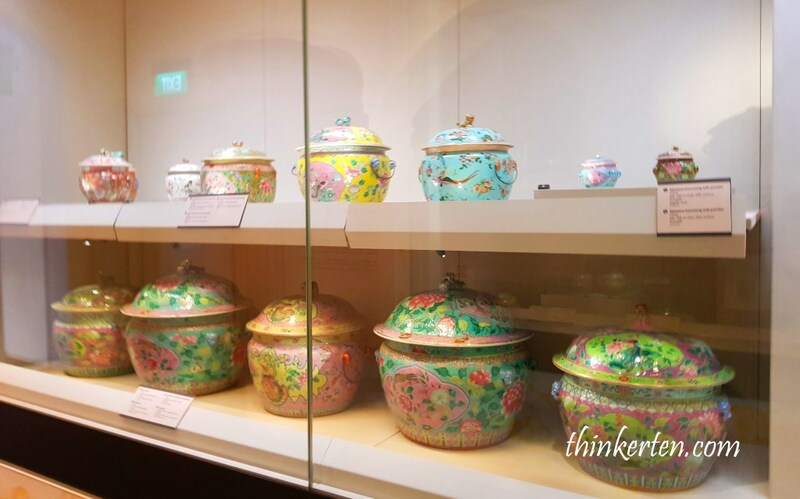 Artifacts used in the olden day at Peranakan Kitchen, check out the colorful “tingkat”/ the multi layer container. 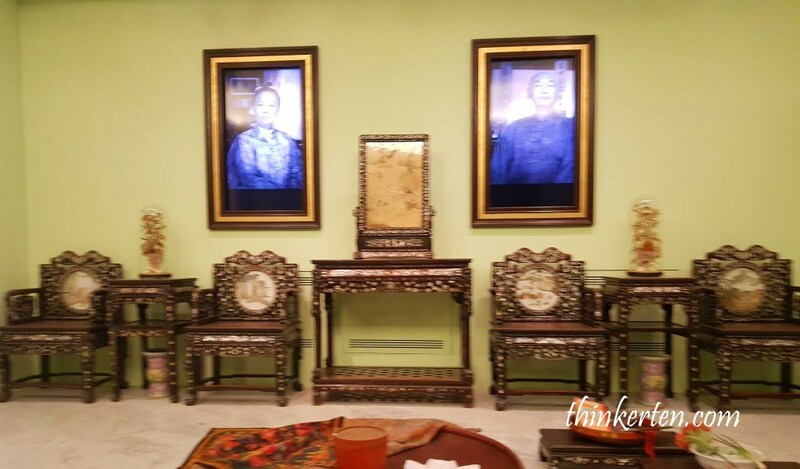 The display of Nonyaware here are the best and colorful, used for special occasion so it reflect the Peranakan taste and abundance. There are many Nonyaware, but in this picture, only “Kamcheng” were shown, big and small size with different bright colors. Obviously these “kamcheng” Nyonyaware were used for happy occasion and celebration, not during funerals or mourning. What is “Kamcheng”? Kamcheng were used for storing drinking water, pickles such as achar pickles and other food, usually came with a cover at the top. 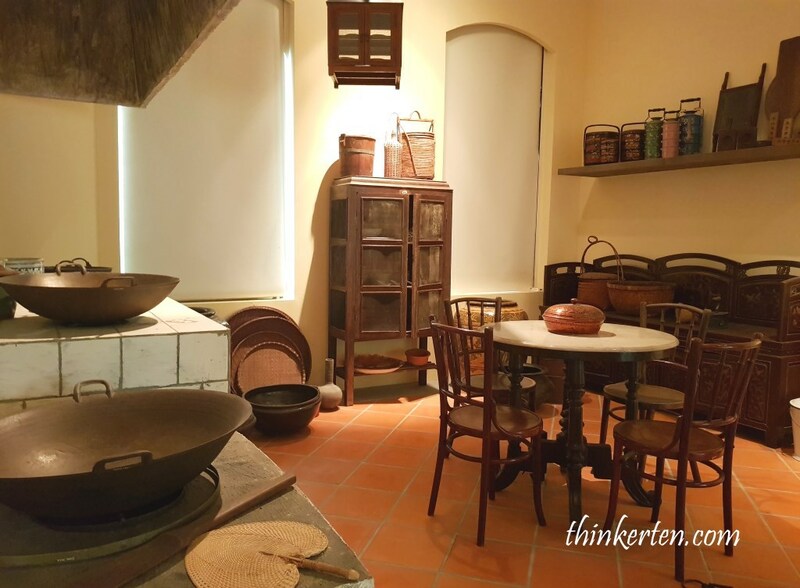 Pinggan Mangkok literally means “plates and bowls”, these set here was made in Jindezhen. Notice long rectangular tables referred as “Tok Panjang”, actually the word used for a big feast. “Tok” in Hokkien dialect mean “table” and “panjang” in the Malay word for “long”. 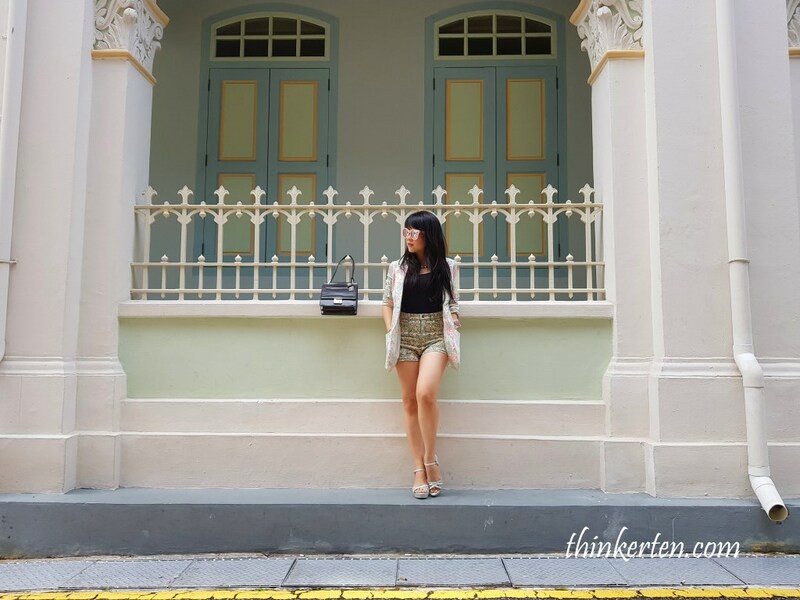 You will notice a lot of mixture of Malay and Hokkien word in Peranakan language. Food served is a mixture of Chinese, local Malay and European cuisine at the special occasion of Tok Panjang feast. 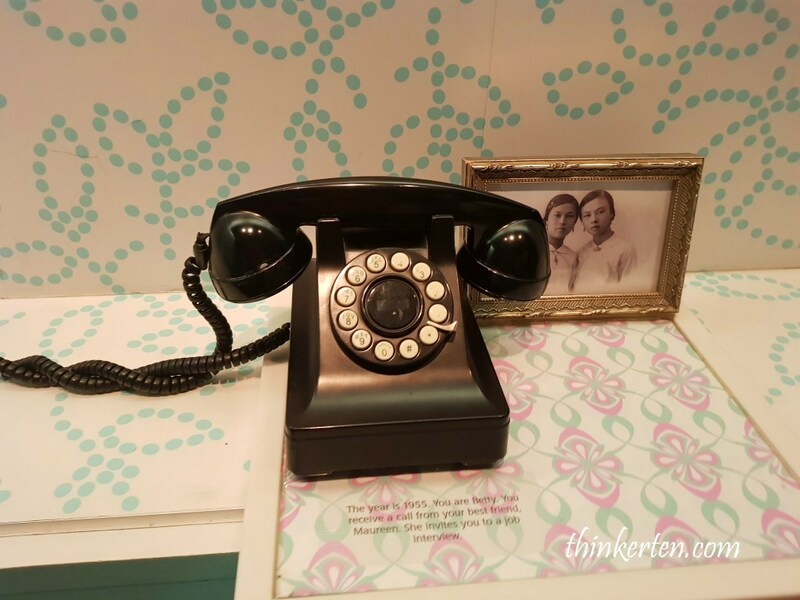 Pick up this old black telephone and listen to the Peranakan girl who speak in the phone. Foreigner won’t understand for sure. There is a lot of mixture of Baba Malay and Hokkien dialect used. These little tiny story books translated from Chinese story “Journey to the West – Monkey King” into Malay. 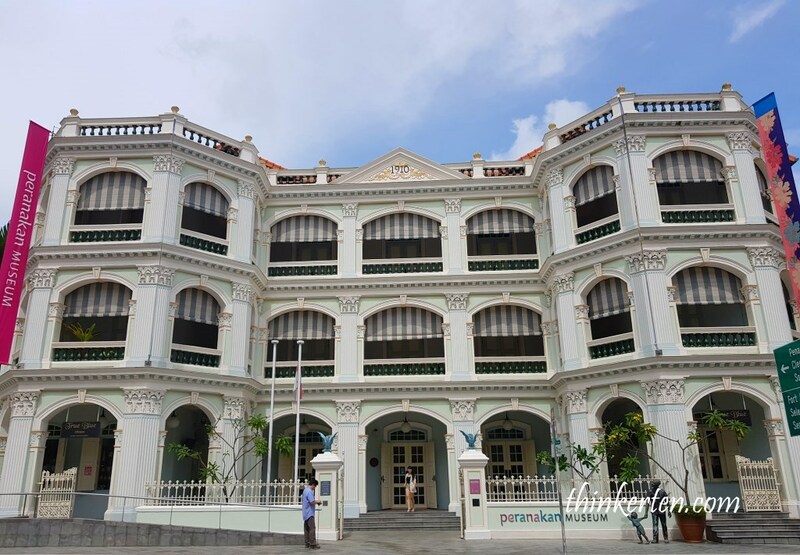 The building’s layout is based on Straits Settlements bungalows, where rooms sit around a central hall while toilets and kitchens are outside the main building. The museum is still using wooden floor so it makes some sound especially when you are walking with heels. 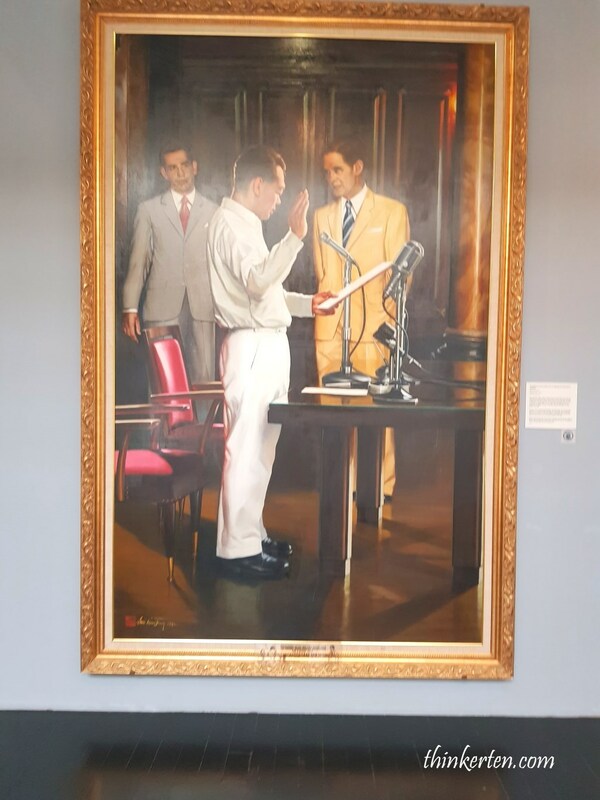 Dressed in the white uniform of the PAP is Lee Kuan Yew recites the oath of office to become the first prime minister of Singapore. 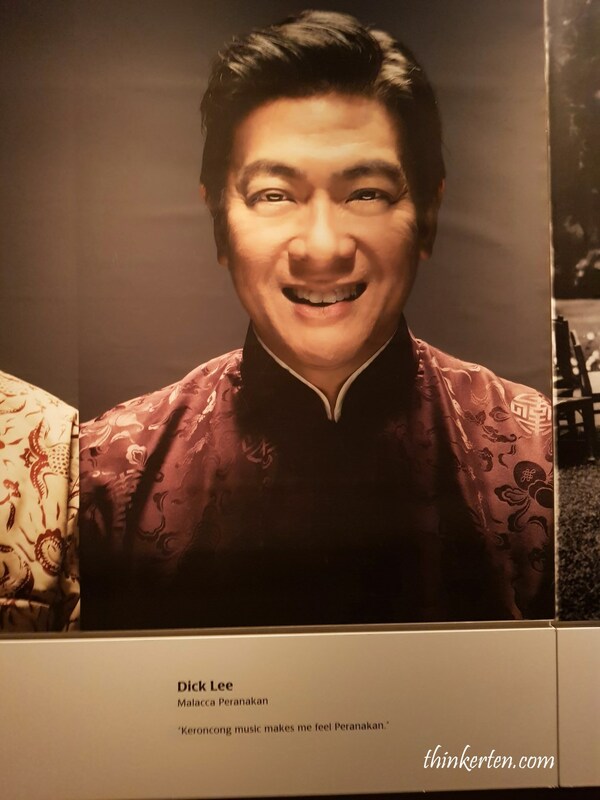 Lee’s maternal grandfather, Chua Kim Teng, was a Peranakan Hokkien. This oil canvas was masterpiece by Lai Kui Fang, a Singaporean artist who studied on a French Government scholarship 1963. 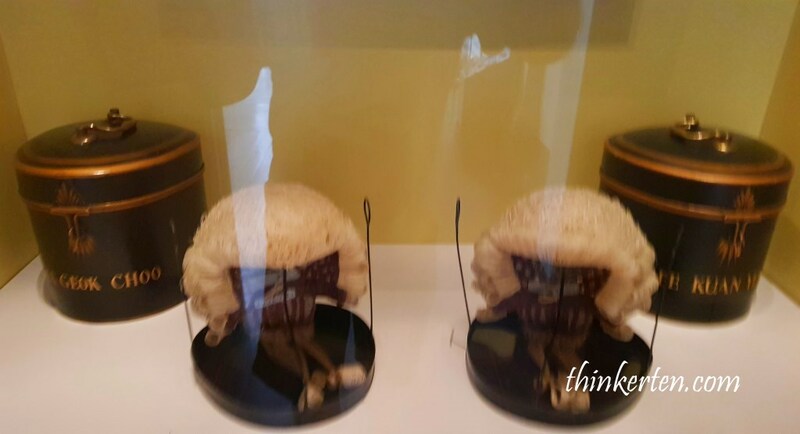 Their barrister wigs used in court were also shown in the museum. 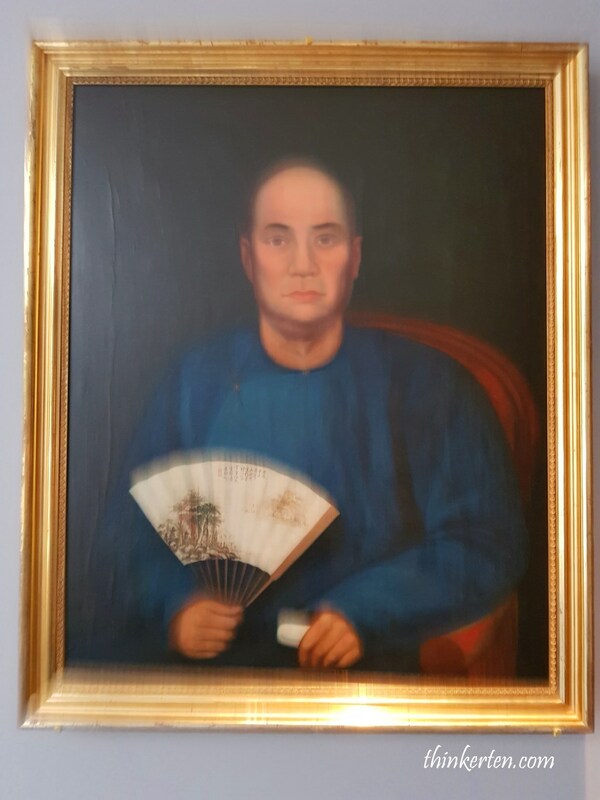 You will see an oil painting with a guy dressed in blue traditional Chinese clothing in blue. 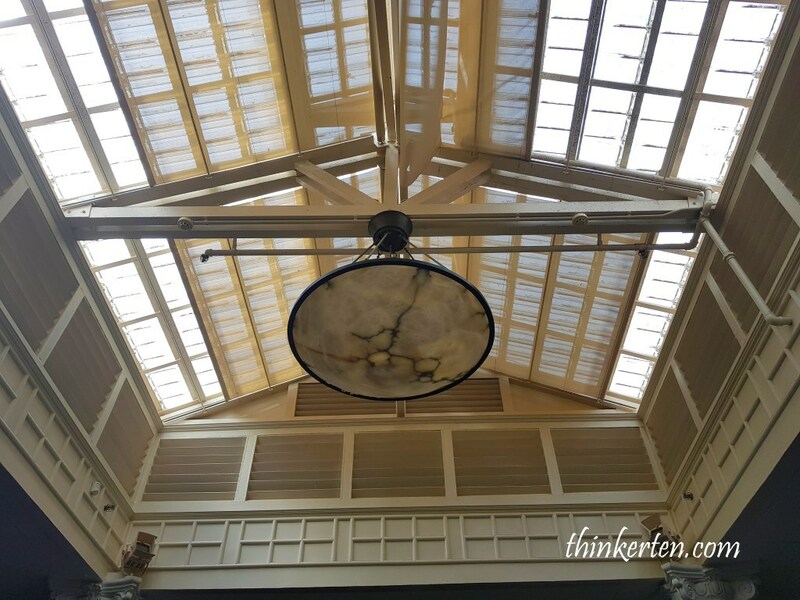 He is a prominent Peranakan merchant and philanthropist in Singapore in the 19th century. A special Victorian-style iron fountain named after Tan Kim Seng was built in 1882 in memory of him located at Esplanade Park Singapore. 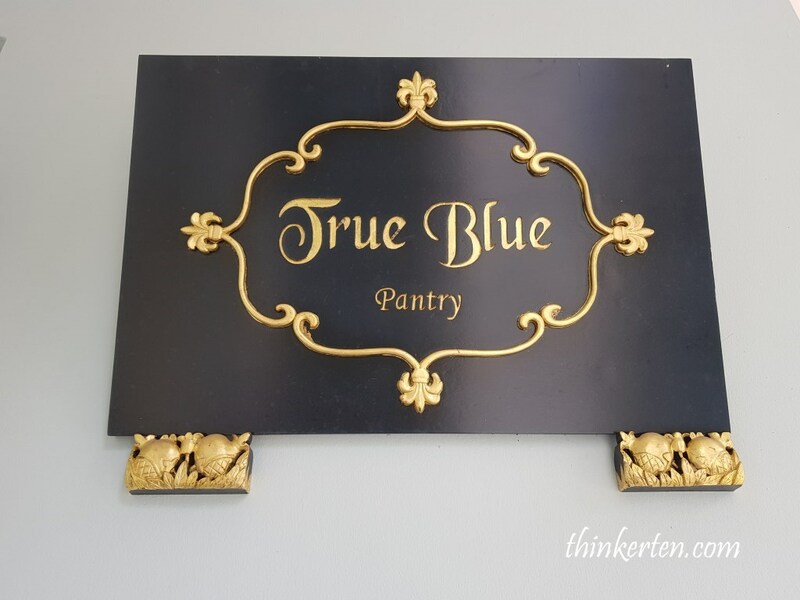 True Blue Pantry is at a corner in the museum, you may want to take some refreshment after the tour. It offer fruits juices, floral teas, coffee and soft drinks. They even sell nyonya kueh keuh/cakes.